Welcome to The Artists’ Corner Stained Glass in Baltimore MD. For over 45 years we have worked hard to meet the stained glass needs of our customers by providing quality service we all have come to expect and deserve. With our 3rd generation now at the helm, we are continuing our tradition of bringing customers the best the stained glass world offers. New product lines are being added, more classes are being offered, studio production continues to increase and new opportunities are constantly being explored. We hope you will join us for another 25 successful years and beyond. 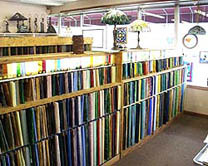 Established in 1972, The Artists’ Corner in Baltimore Maryland has a long history of supplying the best the industry has to offer to our customers. 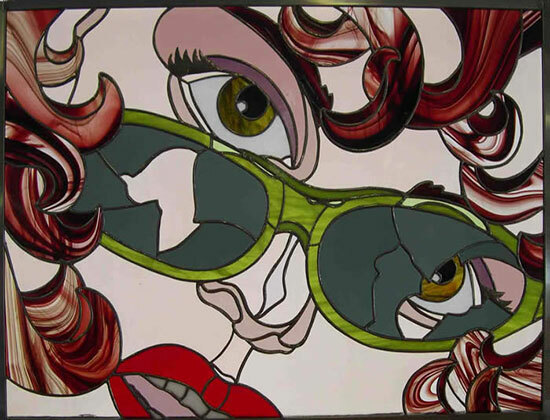 We offer everything you need to create a stained glass project from start to finish. Hundreds of books are kept on hand offering customers new ideas, instructions, and designs to get started on their stained glass projects. 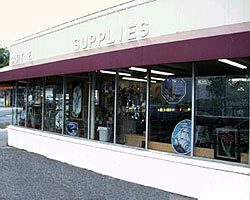 A full line of supplies is available so our customers can have everything they need for their stained glass workshop at home from the most basic glass cutter to top of the line band saws. Over 350 glass types and colors, a majority of which are presented with lighted samples, are available to aid our customers in choosing the right glass for their projects. Wood framing, chain, lamp bases and cleaners, just to name a few, are all kept on hand for those special finishing touches. Most importantly, all of our staff members are knowledgeable in the art of stained glass. 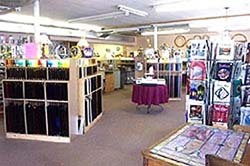 Artists’ Corner Stained Glass in Baltimore MD specializes in transoms, stained glass restoration, restoring stained glass windows, slumped glass, bent glass lamps, stained glass in kitchens, stained glass classes and lessons and is convenient to Bel Air and Fallston in Harford County MD, Baltimore County Maryland and Baltimore City Maryland and all the following: Cockeysville, Timonium, Arbutus, Butler, Canton, Catonsville, Dundalk, Essex, Pikesville, Randallstown MD, Rosedale, Sparks, Towson Maryland, Upperco, White Marsh, Windsor Mill, Woodlawn, Fells Point, Garrison, Glyndon, Halethorpe, Hunt Valley, Kingsville, Lansdowne, Lutherville, Middle River, Mt Vernon, Nottingham, Owings Mills MD, Parkton, Parkville, Perry Hall and Pheonix Maryland.